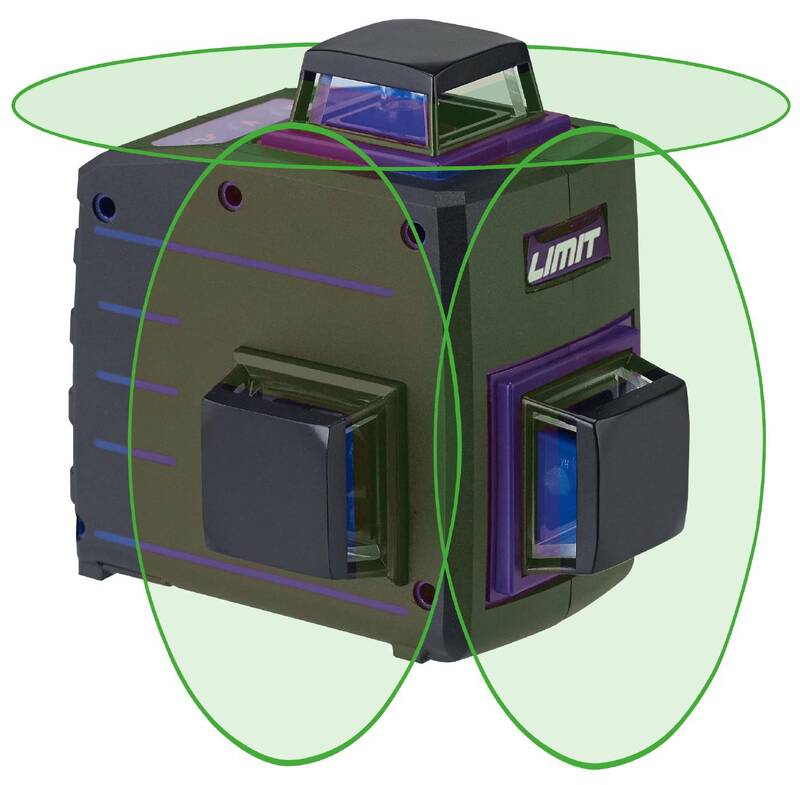 Multi cross line laser with green laser light that shows 3 very bright 360° lines. One horizontal 360° line and two vertical 360° lines that are lit at 90° to each other. The lines can be lit individually or together. Laser with green light offers 4 times more visibility compared with red laser light, making it ideal for use in bright environments and/or over long distances. 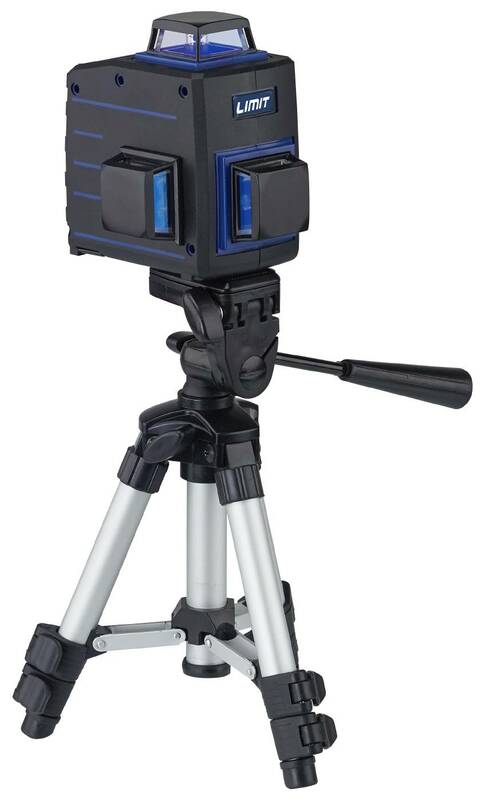 Self-levelling with magnetic damping compensator. A buzzer sounds and lines flash when the incline exceeds the self-levelling range. Self-levelling can be switched off when you want to show an inclined plane by mechanically locking the pendulum mechanism, which functions as both a main circuit breaker and a transport lock. 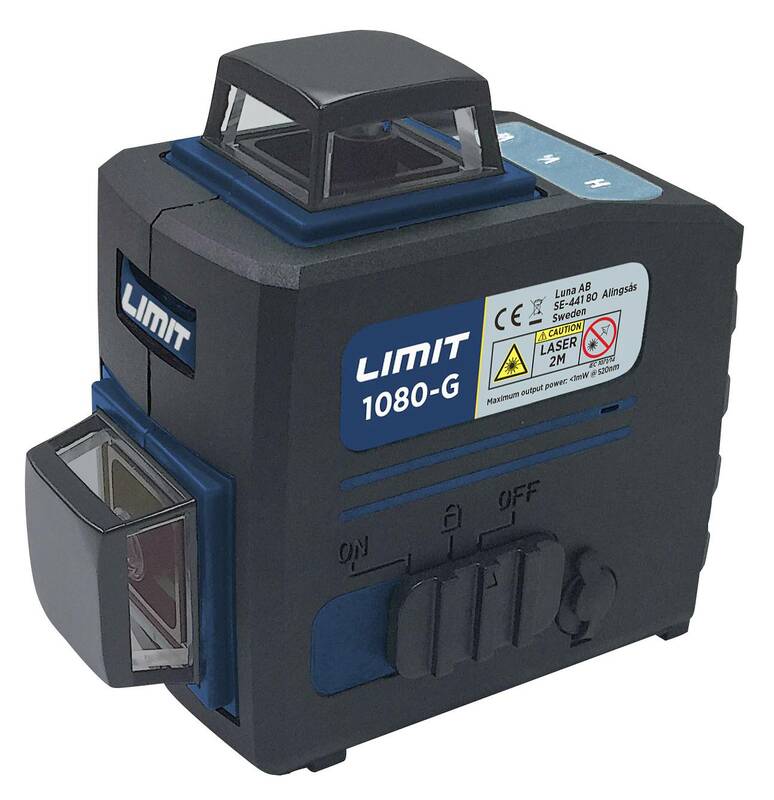 Limit 1080 also features a pulsating light for use outdoors and in bright rooms together with a separate laser receiver (not included).Powered by AA batteries or a rechargeable battery and charger (sold separately). 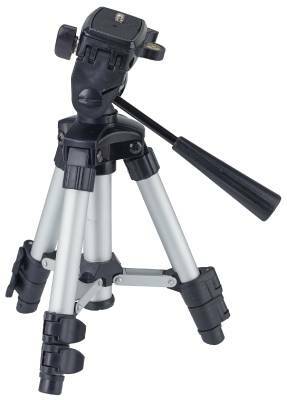 Supplied with adjustable 3-leg tripod (237–500 mm), magnetic attachment, reflective target and AA batteries in a protective case. Rechargeable battery and charger available as extras (24465-1006).